In May 2013, we launched the first People’s Choice Wine Awards with The Great Canadian Wine Match. Thousands of wine lovers from coast to coast (and around the planet) voted for their favourite Canadian wines online and via social media. This friendly (and increasingly social 😉 competition brought wine drinkers and wine makers together to celebrate the best of what we produce in this country, and garnered considerable media recognition for both nominees and winners. We’re building on that success this year with The Great Canadian Wine Match: The BBQ Edition, pairing Canadian wines with your favourite grilled or barbecued foods, including grilled chicken, pork, seafood, beef, vegetables and dessert. Get ready now for your Canada Day barbecue! This year nominations and voting for nominees will be done like last year, and open to anyone. The regional finalists in each food category will be judged blindly by wine lovers. The winners will then be announced on CTV’s Canada AM. We’re also turning up the heat this year with prizes, including a Grand Prize of a Summit Series Weber Grill valued at $3,200, awarded by random draw of the 36 finalists. There will also be 25 runner-up prizes of Weber Grill cookbooks and BBQ utensils open to everyone who participates, and chosen by random draw. What else is different this year? There are six regional categories this year rather than just four: Western Canada, Niagara, Southwestern Ontario, Prince Edward County, Quebec and Atlantic Canada. How do I nominate a wine? 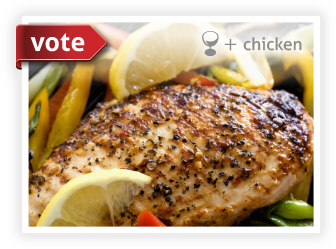 Go to the nomination wall for one of the six Canadian food categories: grilled chicken, pork, seafood, beef, vegetables and dessert. Simply enter the name or product code of the wine. You can find product codes here. Once your nominated wine has been approved, you’ll receive an e-mail and can start voting right away. This is the people’s choice awards for wine, so you don’t have to be a wine expert to participate. As the people’s choice awards for Canadian wines, the competition takes a grassroots, “bottoms up” approach to get us rallying behind our favourite bottles from coast to coast. You can nominate a wine from any province or region, and not just the one in which you live. Although the focus is on Canadian wines, you don’t have to be a Canadian resident to take part, as there are people around the world who love Canadian wines. Which wines can be nominated? 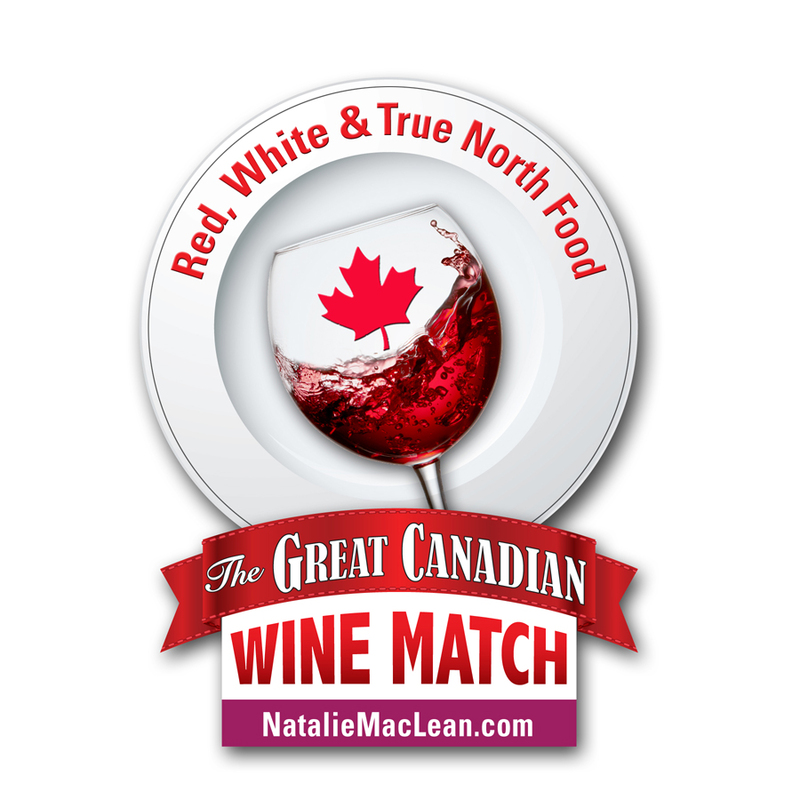 The Great Canadian Wine Match is open to all wines made from 100% Canadian fruit that are vinified and bottled in Canada by a commercial winery. The wines must be available for sale to the public via at least one of the following outlets: retail stores, online, consignment, direct mail order and/or the winery in at least one Canadian province or territory between May 1, 2014 and May 1, 2015. There are no restrictions on price, vintage, bottle size or style: red, white, rosé, sparkling, late harvest, dessert/icewine and fortified wines may be nominated. Fruit wines and ciders are also eligible. These are wines made from fruit other than grapes such as apples, blueberries, blackberries, strawberries, raspberries, cassis, etc. Why should I nominate a wine? Share your passion for Canadian wines with others by becoming a champion for one or more wines. Have fun tracking the votes for your wine daily, discover new food pairings for your wine and others, and enjoy some friendly regional rivalry with those who have nominated wines from other parts of the country. If you’re a wine, food or lifestyle blogger, this is also a great way to get recognition for your site since your nomination will link to your profile, site and social media accounts. As a winery or wine agency representative, why would I want my wine nominated? Just getting your wine nominated will give you exposure on Canada’s largest wine web site, and provide a strong call to action for wine lovers to try your wine and become champions for it. Bottle award decals will be available for all nominees and winners, indicating the food category in which the wine was featured i.e. Great Wine for Grilled Chicken. How are the winning wines selected? Six Canadian wines in each of the six Canadian food pairing categories will be selected at the end of the nomination voting round on May TBD, 2014: one wine from Western Canada, one from Niagara, one from Southwestern Ontario, one from Prince Edward County, one from Quebec and one from Atlantic Canada, based on the most votes in each region. So there will be a total of 36 wines in the finals, as no one wine can be a finalist in more than one category, nor can one person be a finalist in more than one category, though both can be nominees n multiple categories. What’s the cost of entry? It’s free to both to nominate and to vote for wines. How many times can a particular wine be nominated? A wine can be nominated only once in each of the six categories: grilled chicken, pork, seafood, beef, vegetables and dessert. The first person to nominate the wine in a category becomes the champion for that wine in that category. The same wine can be nominated in all six categories. When can I nominate a wine? You may nominate a wine anytime until May TBD, 2014. It’s good to nominate your wine as early as you can to garner as many votes as possible during the voting period. However, it’s also still worth recognizing terrific wines with a nomination at any time. How many wines may I nominate? 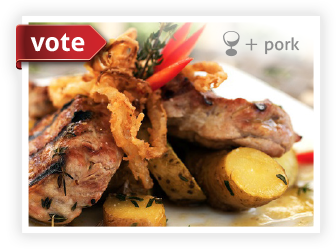 You can nominate one wine in each of the six Canadian food categories:grilled chicken, pork, seafood, beef, vegetables and dessert. If you would like to see a second wine nominated in a particular category, encourage a friend to nominate it. What if the wine I want to nominate isn’t listed on your web site? You can submit new wines to be posted on the site. Once they are approved and posted on the site, you can then nominate them for the competition. Be sure you include a picture of the bottle when you submit it. Other than picking the wine, is there anything else I should do? Be sure you have your picture posted on your profile. This can be a traditional head shot, a graphic or avatar. This doesn’t have to be a formal tasting note and score. You can simply say why you like this wine with Canadian grilled chicken, pork, seafood, beef, vegetables and dessert. However, this isn’t necessary to nominate a wine. Wine, food and lifestyle bloggers may also want to blog about their choices to provide more background on their selections. How do I vote for a wine? 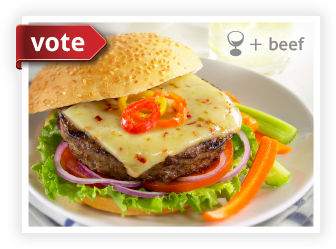 Click on the voting button in the top right corner of the box for the wine. 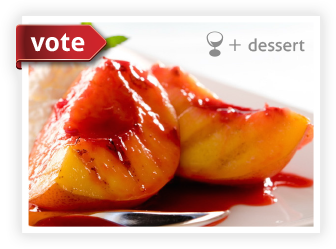 You can vote for wines without nominating any wines. How many times may I vote for a wine? You can vote for a particular wine once a day in each category. So if one wine has been nominated in all six categories, you can vote for it each day in each of those six categories. How many wines may I vote for each day? Until May TBD, 2014, you can vote for as many wines as you like each day in each category, the only restriction being one vote for any particular wine in a category. The reason is that most of us like more than one wine with chicken or beef, so we should be able to reflect those choices and variety in our voting until we get to the finalist stage to pick the best wine in each category. How often are the voting results updated? Votes are calculated in real-time: as soon as you vote for a wine, the total number of votes gets updated. If your vote tips the scales and enables the wine to move up in ranking on the wall, then it will also change position after you vote. How do I get more votes for the wine(s) I nominate? Why those six Canadian food categories? To launch this competition we wanted to focus on six of the most popular Canadian food categories for July 1 barbecues. Future competitions may expand the number of categories. How do I choose the particular Canadian food pairing in a category? As there are many ways to prepare each of the six Canadian food categories, we’ve provided tasty, wine-friendly recipes for Canadian grilled chicken, pork, seafood, beef, vegetables and dessert. Experiment and have fun. When you make your selection, you can say what type of dish you paired with it. May I submit a recipe? Yes, you can submit a recipe as long as the ingredients for the six food categories are Canadian. What about food from outside Canada? This competition is focused exclusively on Canadian food. Future competitions may involve both international foods and wines. How can I have more fun with this? Organize an informal taste-off party with your friends, where each of you brings the bottle of your choice and you all try them. You can make it a potluck by making some of the suggested recipe pairings or your own. When will the nomination results be announced? The results of the nomination round will be announced on May TBD. When do we vote for the finalists in each category? 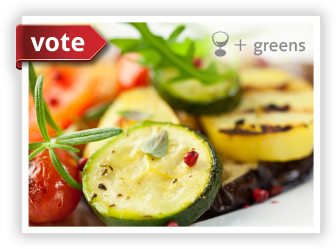 Voting for the top six wines in each Canadian food category is from May TBD to June TBD. The vote tallies for each wine in the finalist round start at zero again. How many times and wines may I vote for in the finalist round? 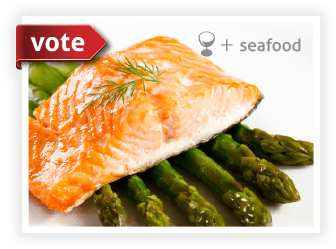 You may vote once a day for one wine in each of the six Canadian food categories. How can I learn more about the finalist wines? How often are the voting results updated in the finalist round? Winners in each of the six categories will be announced June TBD on a national television show. What makes this wine competition different from others? Many traditional wine competitions are judged by experts, such as wine writers and sommeliers, who meet in one physical location on a specific date to taste the wines in isolation apart from food and then report their results when they finish. These play an important role in recognizing our best wines based on their technical merits. This competition will be judged by wine drinkers themselves, online and over a 5-week period, within the context of the food pairings that these wines are usually consumed. Results will be tabulated in real-time and ongoing, with the full engagement of social media. This competition also recognizes and celebrates our best wines based on their appeal to wine drinkers themselves. This competition will be held at the same time next year. Which Are The Best Types Of Wines For Barbeque?